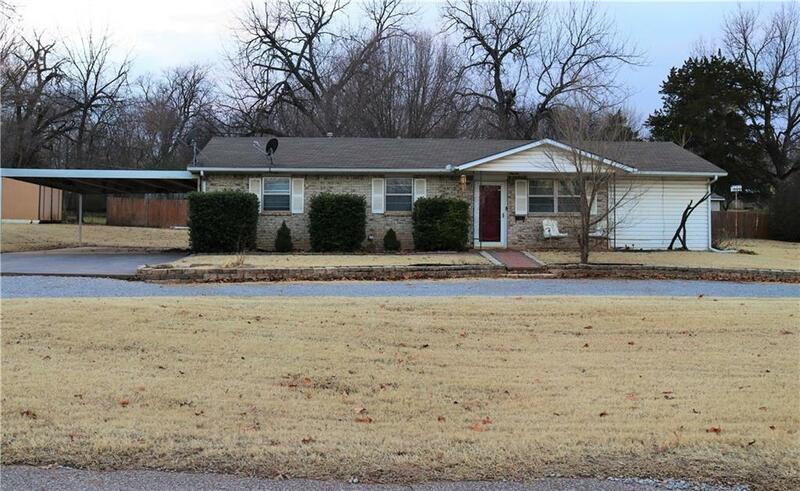 | MLS# 852442 | Oklahoma City Real Estate | Apple Realty, Inc.
Sweet home on a large corner lot just blocks away from historic downtown Purcell. You will enjoy the open concept floor plan and double doors that lead to the covered patio that is perfect for entertaining. You will find a 24x12 storage building in the back yard. This yard is a blank canvas with an in ground sprinkler system. The a/c unit is only 3 years old. Priced to sell. Investors welcome.